Chocolate Avocado Truffles Avo toast is great and all, but it's not going to satisfy our chocolate craving on Valentine's Day. 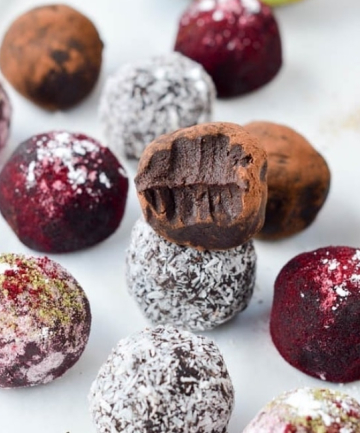 These rich avocado truffles definitely do: The surprise ingredient gives them the decadent texture we look for in the bite-sized treats. Even better, there are versions for vegan, keto and paleo diets because everyone deserves a lip-smacking dessert.